There is no need to avoid necessary dental and periodontal work because you feel anxious. We can offer sedation options so you can experience calm and comfortable visits to our office. Every year, thousands of patients avoid necessary dental and periodontal work because they are anxious about dental offices and/or dental procedures. At Periodontal Associates of Memphis, our goal is to put each patient at ease and provide them with the assistance they need to get through their visit and feel positive about their treatment experience. Sedation dentistry comes in three forms. Nitrous Oxide. Also known as “laughing gas”, this is one of the most common sedatives used for periodontal procedures. Mixed with oxygen and breathed in through a small nose mask, this option puts you completely in control – breathe through your nose for more sedation, or through your mouth for less. 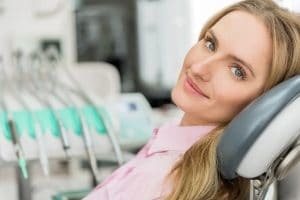 Nitrous oxide takes effect quickly, makes you feel relaxed and unafraid, and once the procedure is done it only takes a few minutes for the effects to wear off completely. Oral Sedation. This option consists of a pill or liquid taken by mouth, and helps you feel even more relaxed. You may arrive a little early for your appointment to be administered your medication, and allowed to relax in comfort in the waiting area until it takes effect. Once you are relaxed and anxiety free, your procedure can be easily performed. You’ll need someone to drive you home after periodontal treatment under oral sedation. Your Memphis periodontist should complete hospital-based training to offer sedation dentistry, including two to three additional years of education beyond dental school. Dr. Craddock and Dr.Godat are licensed by the Board of Dentistry to administer sedation, and attend additional specialized training every year to stay updated on new innovations in sedation. Several of our periodontal assistants have also had training in assistant’s anesthesia (sedation) from The American Dental Society of Anesthesiology (ADSA). If you feel that your periodontal visit would benefit from the option of sedation, please let us know when you schedule your appointment. We’ll help you choose the appropriate type of sedation to keep you comfortable and anxiety free during your visit.